Photos via Mohawk General Store. 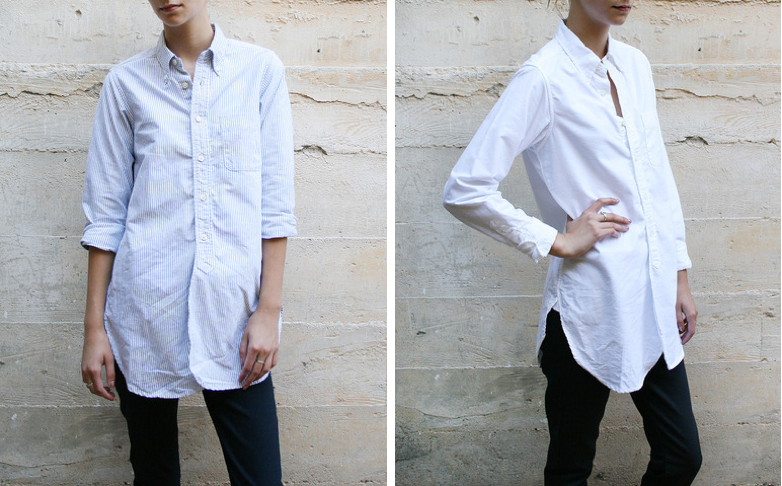 Digging the tunic-length long BD oxford by FWK Engineered Garments ($184). FWK is the women's line of Engineered Garments, named after Katharine Hepburn's estate in Fenwick, Connecticut (which as of August was for sale for $28M; Mariah of Quite Continental verbally agreed to go in halvsies with me). This is so. happening. Connecticut, here we come. You have to wear super skinny jeans to pull these off, but I like 'em.